The Year of the Golden Pig falls once every 60 years and is associated with wealth and good fortune. So it looks like 2019 could be a lucky year. People born this year have the pig as their Chinese zodiac animal. The Year of the Pig comes every 12 years, so this is a special year for anyone born in 2007, 1995, 1983, 1971, 1959 or 1947. Here are some of the most famous public figures in South Korea who were born in the Year of the Pig. V, a member of K-pop sensation BTS, was born in December 1995 and is one of the youngest celebrities on our list. His band had an amazing year in 2018, touring the world and even giving a speech at the UN General Assembly. 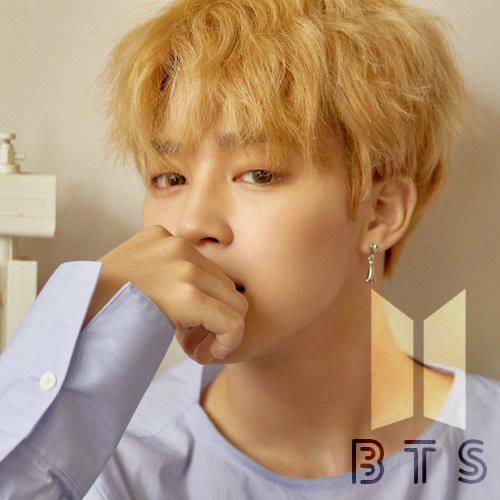 Jimin was also born in the Year of the Pig. According to a study by the Hyundai Research Institute, BTS is worth over $3.6 billion. The researchers said more than $1 billion worth of consumer exports were linked to the group, with some 800,000 tourists visiting the country last year thanks to them. This presidential candidate in the 2017 election is among the highest-profile figures in Korean politics born in the Year of the Pig. Sim Sang-jung of the progressive Justice Party was the only candidate from a major party to openly support LGBT rights during the election campaign. Reports of Jung’s casting were met with both praise and criticism, as feminism has emerged as one of the most contentious issues in the country in recent years. Jisoo, one-quarter of the girl group Black Pink, is among the rising K-pop stars born in 1995. Having debuted in 2016, the group has a number of hit singles under its belt including “Boombayah,” “Whistle” and “Ddu-Du Ddu-Du,” the latter of which happens to be the 10th-most-watched video on YouTube in the first 24 hours as of December. 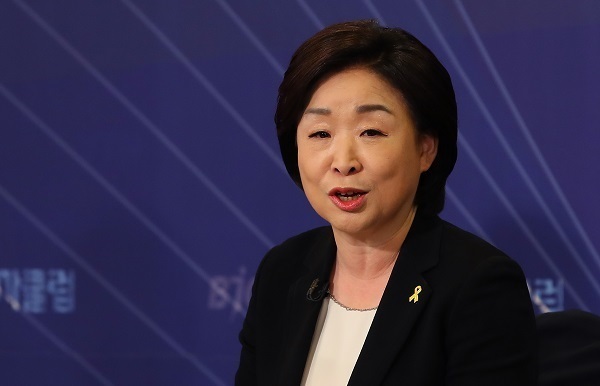 Having served as minister of health and welfare under President Roh Moo-hyun, the former politician has emerged as a liberal firebrand and maybe even a prospective presidential candidate. Rhyu’s podcast drew over 30,000 subscribers just days after its launch, before he had uploaded even one episode. Shin Dong-yup is one of the few comedians and TV presenters who has managed to maintain his popularity over the years. Shin, who appears on a number of shows, will star on the new show “Romance Coach” on the cable channel Lifetime. Having enjoyed fame in her own right as a fashion model, Han Hye-jin appears to have found her second calling as a TV personality. Her TV career reached a new high point in 2018 when she won the Top Excellence in Variety award at the 2018 MBC Entertainment Awards for her role on the popular show “I Live Alone.” She also confirmed that she was in a relationship with fellow panel member Jun Hyun-moo, one of the top TV presenters in the country. Rapper and songwriter Mithra Jin is part of the veteran hip-hop group Epik High. The group released its debut record in 2003. Mithra, whose real name is Choi Jin, and his wife, Kwon Da-hyun, have become a power couple on TV in recent months and have established an image as a down-to-earth, laid-back duo. Singer Seolhyun from the girl group AOA further solidified her presence on the movie scene when she appeared in the hit action film “The Great Battle.” She starred alongside the likes of actors Jo In-sung and Nam Joo-hyuk in the film, which attracted over 5 million moviegoers. Baekho of boy band NU’EST was born in 1995 and so were his bandmates JR, Minhyun and Ren. Despite a successful run, fans might not see the group’s subunit NU’EST W again in 2019. That’s because Minhyun, who was away for the last year and a half as part of the group Wanna One, will rejoin his bandmates and restore NU’EST to its original form. Veteran conductor Gum Nanse is a household name in South Korea. 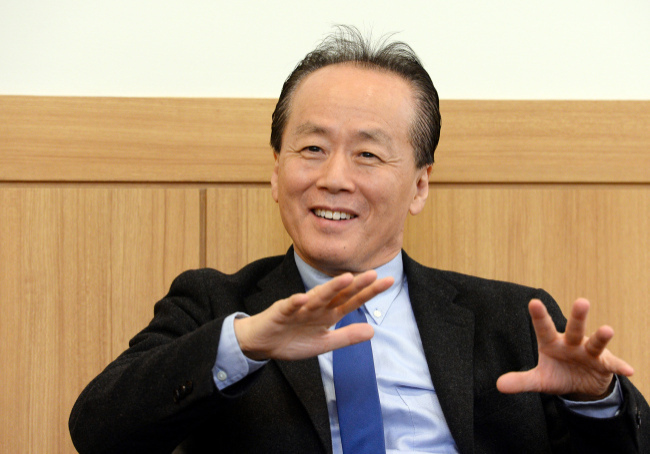 The 72-year-old Busan native is currently general director and artistic director of the Seongnam Philharmonic Orchestra as well as artistic director of the New World Philharmonic Orchestra. He’s also the principal of Seoul Arts High School. When he appeared on TV in early December, Gum said he exercised a lot and slept well to stay healthy.